Habitat RFV is pleased to welcome Jamie Wilson, RN, as a new homeowner in Carbondale’s Keator Grove. Jamie is the mother of three children, 11-year-old Riley , eight-year-old Luke, and six-year-old Landon. 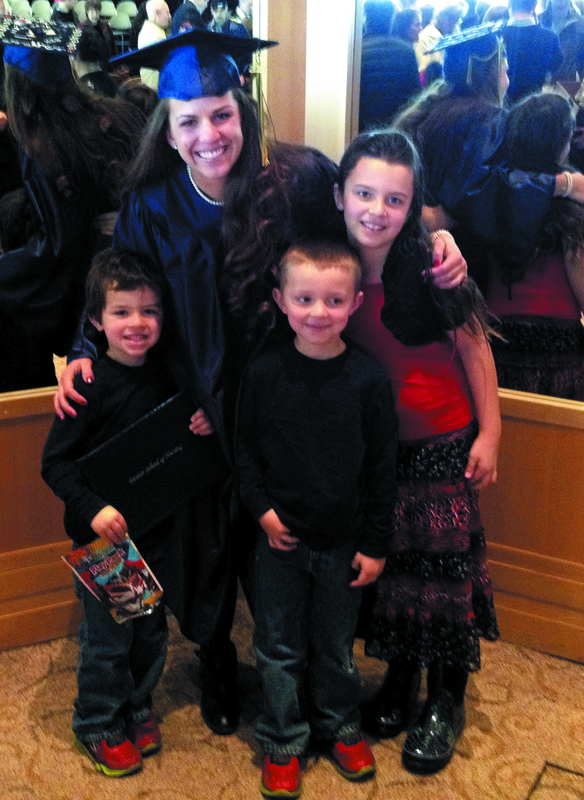 Finishing college as a “teen mom” is just one of single mom Jamie’s many accomplishments. The 2004 Glenwood Springs High School graduate attended college at CMC, the University of Colorado Boulder on a scholarship along with her young daughter Riley, and most recently she earned her Bachelor of Science degree in Nursing from the Denver School of Nursing in 2013. In addition, she is a Board Member of the Salvation Army, and part of the Garfield County Homelessness Task Force. Jamie describes herself as making too much money to receive benefits, yet not making enough to be able to afford homeownership in the Roaring Fork Valley. Habitat for Humanity RFV is in a unique position to help families suffering from the “Cliff Effect”. Hard-working families can fall victim to the "Cliff Effect," in which even a modest increase in a family’s income can result in termination or ineligibility of government benefits.